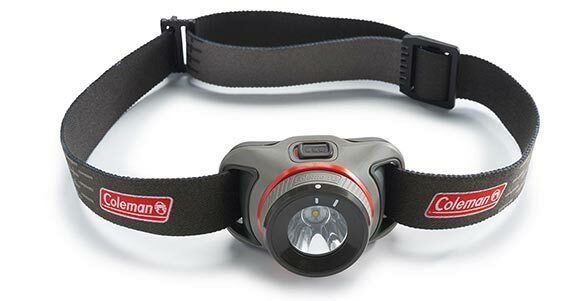 The Coleman® BatteryGuard 200L Head Torch is designed with simplicity in mind; the headband, made from a soft, lightweight and breathable fabric and fitted with an easy-tug buckle, ensures a snug fit on the forehead; the head of the light has a pivot that can be adjusted to your desired angle. The BatteryGuard function which is integrated with the light switch extends battery life by protecting against corrosion and battery drain. This head torch is light, compact, user friendly, sleek and just what you need for a late night run. With its long run time, it is practical for outdoor activities like camping or trekking, or for travelling, and also for daily activities and projects around the house.